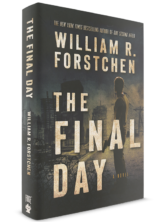 New York Times bestselling author Dr. William Forstchen imagines a horrifying scenario where, in the course of one day, the terrorist group ISIS carries out massacres in schools and on highways across the United States. 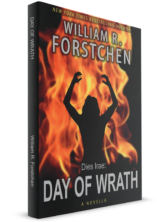 With a surprisingly small but well-organized and ruthless force, the nightmarish devastation brings America to a state of near-paralysis. 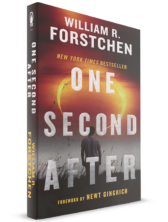 The highly-anticipated follow-up to William R. Forstchen’s New York Times bestsellers, One Second After and One Year After, The Final Day immerses readers once more in the story of our nation’s struggle to rebuild itself after an electromagnetic pulse wipes out all electricity and plunges the country into darkness, starvation, and terror. 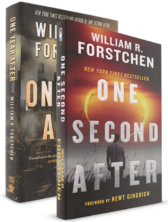 With this special offer you will receive Dr. William Forstchen’s One Second After and One Year After. 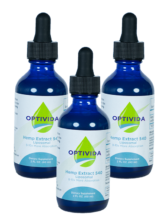 $45 Value. 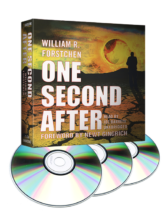 Take responsibility for your own preparedness. 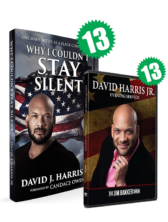 As you fill out the information in the workbook, you will be creating your own personal Disaster Preparedness Plan that will reflect the unique needs of you and your family. 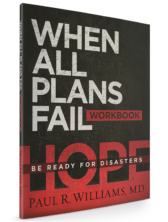 When All Plans Fail: Be Ready for Disasters Workbook places all the checklists together in one place and streamlines the information for easy use and referencing. 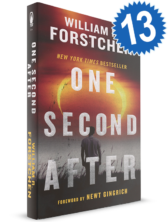 With this special offer you will receive thirteen (13) of Dr. William Forstchen’s One Second After book. 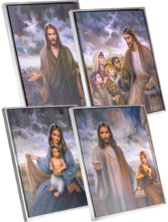 $260 Value. 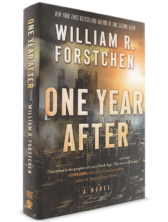 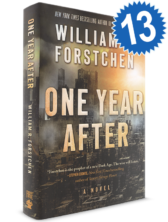 With this special offer you will receive thirteen (13) of Dr. William Forstchen’s One Year After. 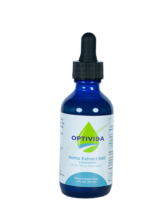 $325 Value.